Documentation and SupportReleases 2014-11-13 ReleasesNew Drag and Drop functionality. 4) Choose what folder the table will reside in. 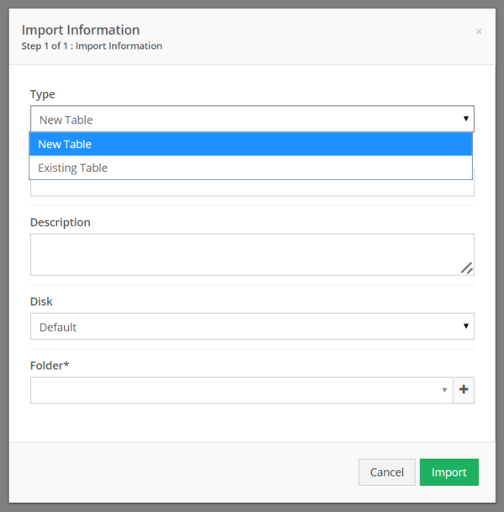 2) Choose what table to import into. 3) Choose if you want the table truncated. 4) Choose if you wish to skip rows. 5) Choose if you want to merge new records. 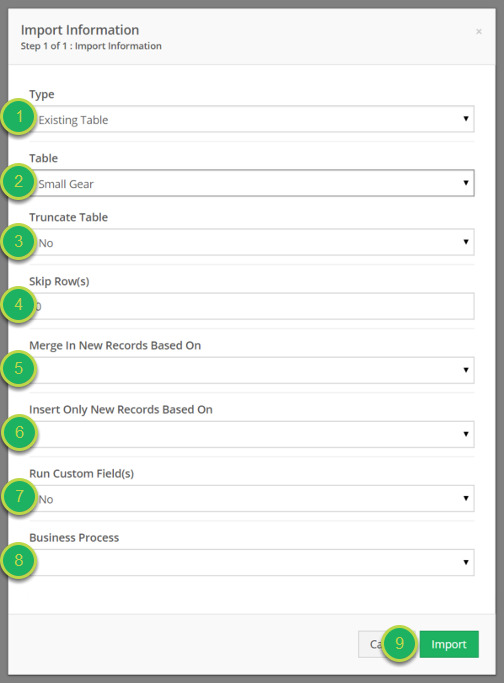 6) Choose if you want to only insert new records. 7) Choose if you want to run custom fields. 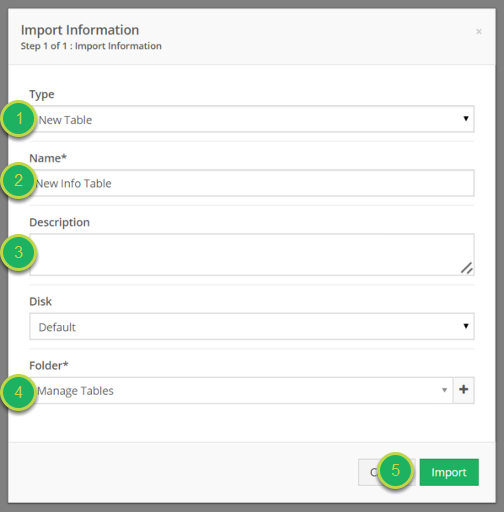 8) Choose if you want to run a Business Process after the import. Prev: Copy, Paste, or Edit Capability now available for grid view. Next: The Job Queue and the Job Queue(all) Modals are now in a vertical format for better readability.